Midwestern Gothic staffer Laura Dzubay talked with author Nafissa Thompson-Spires about her novel Heads of the Colored People, the necessity of empathy for characters, structuring short story collections, and more. Nafissa Thompson-Spires: I came to Illinois when my husband took a job at the University of Illinois, and I also entered the MFA program there. Now we’re both professors at the university. LD: As a setting for rich relationships and interactions, the Midwest is often underestimated. Are there any qualities or features of the Midwest that you find yourself coming back to, in real life or in your writing? How does it function differently, if at all, from other regions of the U.S.? NTS: I haven’t really written about the Midwest at all yet. Illinois is particularly flat—geographically—which is a stark change for me as a native Californian. I may be interested in thinking about that someday. LD: In your forthcoming collection, Heads of the Colored People, the stories illuminate their characters in a variety of different ways, from the mothers exchanging notes via their daughters’ backpacks in “Belles Lettres” to the religious conflict in “Wash Clean the Bones.” How do you investigate the nuances of different perspectives in your work, from the research to the writing itself? NTS: I try to make sure that each voice I represent feels as real as possible. I’ve also found—and this something that I learned from Jacinda Townsend at Callaloo—that you can’t write well about a character without empathy. When a character feels really flat or one-note, sometimes it’s because we as writers haven’t occupied their perspective well enough and need to search for the empathy. That’s become one of my go-to strategies for revision and characterization. LD: How do you go about developing an idea for a short story? Were these stories born in similar ways, or did they all grow out of very different processes? NTS: Often I just have a line or an image in my head. With the titular story, the first line came to me, and I pursued it, to figure out who this Riley character was. Sometimes, I have an idea of the shape of as story I want to write, but often the story reveals itself to me during the drafting. There has to be space for both the discipline and organization (outlining, etc.) and the more metaphysical, subconscious parts of writing. 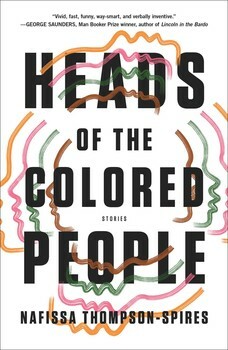 LD: Heads of the Colored People features some recurring characters, such as Fatima, as well as some that are unique to singular stories. In a series of stories that sometimes revisit familiar characters and sometimes introduce new ones, how did you make decisions regarding the structure of the collection? Did the order of the pieces come naturally, or was it something you had to think about a lot? NTS: The order of the stories was the most difficult thing to figure out. The Fatima stories almost work as a small novella, and ultimately, it made sense to me and my editors and agent to put them together. For other stories, we wanted to vary the tone, not putting too may sad stories next to each other or too many male voices together, etc. LD: How do your experiences or memories of specific places play a role in your writing? NTS: I have strong visceral memories of many regions in California. I grew up in the Inland Empire (an hour east of Los Angeles), but commuted half an hour to private school every weekday. So I saw and passed through several cities on the commute. California is somewhat unique in that you can drive twenty minutes to an hour and be at the ocean, the mountains, lakes, or the valleys. I feel like the many different climates and natural sights I’ve encountered are part of the California experience, and I try to capture some of that in my attention to setting—though I could do a better job of it. LD: In the past, you’ve written short fiction as well as essays and journal articles. How accurately does this experience reflect the types of genres you usually read? Do you prefer reading any genres over others, and do you find that what you’re reading influences your writing style? NTS: I was trained as a literary critic though my PhD research, and still love and value that kind of academic writing. But my preference is for fiction—both the writing and reading of it. My work is in conversation with both other fiction and criticism. But nothing moves me the way that fiction does. What I’m reading can influence my writing. Other writers have said this (someone recently in Lit Hub; I can’t remember who), but reading backward into older centuries can have an especially useful effect on writing style and make it more unique. If you only read other contemporaneous writers, you’ll likely sound just like them and less unique. LD: What is your writing routine like? Do you have any specific environments or habits you like to come back to? NTS: At its best, my routine is quite disciplined, and I write on the days when I’m not teaching. I believe in the importance of messy first drafts and space for revision. I try to write what I can when I can and not worry too much about how it will take shape or the order. That’s what revision is for. I also have to write with the television on. Music doesn’t work for me, or I will become very distracted, dancing and singing. But TV—like reruns of the original 90210 or ‘90s talk shows on Youtube—works like a charm. NTS: I’m working on a novel that features Fatima in her mid-thirties, so hopefully we haven’t seen the last of her. Nafissa Thompson-Spires earned a PhD in English from Vanderbilt University and an MFA in Creative Writing at the University of Illinois at Urbana-Champaign (UIUC). She is the author of the short story collection Heads of the Colored People (forthcoming 2018 with Atria/ 37 Ink in the United States and with Chatto and Windus in the UK) and has a novel under contract with the same publishers. Her work has appeared or is forthcoming in The Paris Review Daily, Dissent, Buzzfeed Books, The White Review, The Los Angeles Review of Books Quarterly Journal, StoryQuarterly, Lunch Ticket, East Bay Review, and other publications. Her short story “Heads of the Colored People…” won StoryQuarterly’s 2016 Fiction Prize, judged by Mat Johnson. 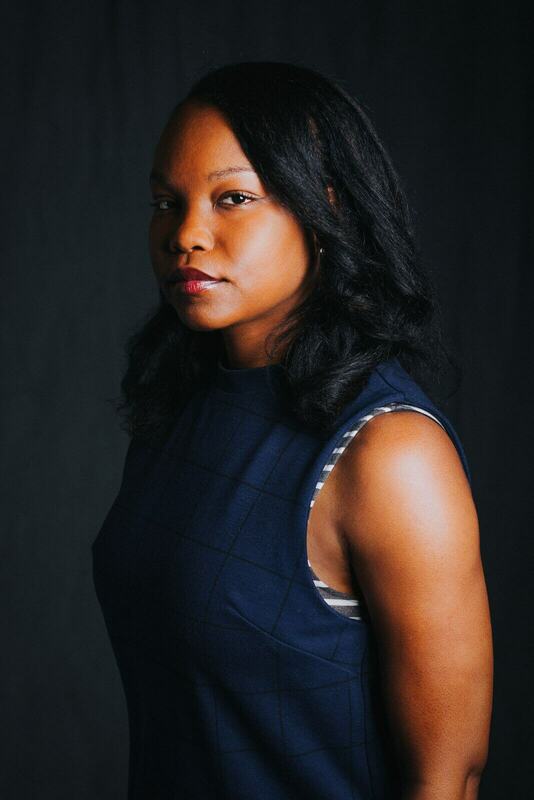 She currently works as an Assistant Professor of Creative Writing at UIUC and is an alumna of Callaloo, Tin House, and a 2017 Stanley Elkin Scholar at the Sewanee Writers’ Conference.